From reading this blog, you may know that nanomaterials are becoming more and more prevalent in the products that we use on a regular basis. What you may not realize is that nanomaterials are also becoming a growing part of our food packaging. In this post, I’m going to explore a few ways in which nanomaterials might be used in food packaging to improve packaging properties and to more accurately determine a product’s shelf life. In addition to limiting oxygen diffusion through the packaging barrier, nanomaterials can also help prevent food spoilage by scavenging oxygen that has made it through the packaging barrier. Think about the small silica gel desiccant packets that you may have seen packaged with various products such as shoes, handbags, and electronics. 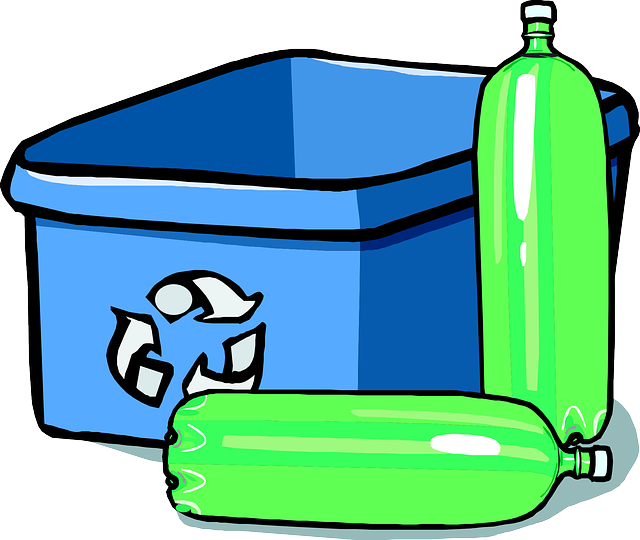 When placed inside the packaging of those products, the silica gel packets can adsorb up to 40% of their weight in water out of the air, keeping the items boxed up with them dry.9 Oxygen scavenging nanomaterials can be thought of operating in a similar way, but are much, much smaller than the silica spheres, and they react with oxygen molecules instead of adsorbing water. Remember our explanation about moles a couple posts ago? This reaction indicates that 2 moles of ascorbic acid (C6H8O6) will react with 1 mole of oxygen to produce 2 moles of dehydroascorbic acid (C6H6O6) and 2 moles of water. In other words, vitamin C and oxygen go in and dehydroascorbic acid and water come out. No more oxygen. Vitamin C has more uses than just keeping colds away! The difficulty with this reaction is that, without the addition of a catalyst, it happens quite slowly.10 A catalyst is a material that speeds up a reaction without being depleted itself in the process. In this particular reaction, copper is often used as the catalyst. Ascorbic acid isn’t a nanoparticle, but scientists at Clemson University have used a comparable reaction to design nanoparticles that contain similar materials to react with oxygen.11 One benefit of this newly developed nanomaterial is that it does not require a catalyst to increase the rate of reaction with oxygen. No catalyst means less copper use and lower material costs, which is good for industrial applications and for the environment. Another important source of wasted food in the U.S. is all those items that get thrown away because they have passed their expiration date. 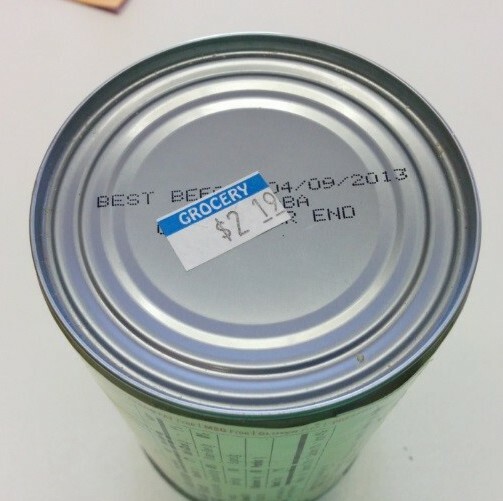 But expiration dates are meant to err on the side of caution; a lot of “expired” food might actually be safe to eat. Nanomaterials can help make environmentally friendly food packaging, help prevent or delay food spoilage, and help ensure drug and food safety while minimizing waste. Much research remains to be done to enable scientists to create nano-based breakthroughs like these in the food industry and be assured of their safety. Organizations such as our Center for Sustainable Nanotechnology (funded by the National Science Foundation), the United States National Nanotechnology Initiative, the Project on Emerging Nanotechnologies (funded by the Woodrow Wilson International Center for Scholars in conjunction with the Pew Charitable Trusts), the NANOfutures initiative (a European Technology Integrating and Innovation Platform), as well as many other organizations and researchers, are all working to better understand how to harness the versatile properties that make nanotechnology so useful in everyday products. DISCLOSURE: The CSN, Sustainable-Nano.com, and the author have not received any compensation for writing this post. We have no material connection to Timestrip or the products mentioned. 3. Chaudhry, Q.; Castle, L.; Watkins, R., Nanotechnologies in Food. The Royal Society of CHemistry: Cambridge, UK, 2010; Vol. 14, p 229. 4. Council, N. R. D. New Report: America Trashes Forty Percent of Food Supply. http://www.nrdc.org/media/2012/120821.asp (accessed July 2, 2014). 8. Jay, J. M., Food Preservation with Modified Atmospheres. In Modern Food Microbiology, Jay, J., Ed. Springer US: 2000; pp 283-300. 9. 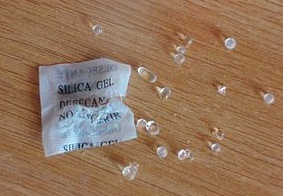 HowStuffWorks.com What is silica gel and why do I find little packets of it in everything I buy?” http://science.howstuffworks.com/innovation/science-questions/question206.htm.